Whether you have one medium duty truck or an entire fleet of heavy duty trucks, we are ready to provide you with the best service and most parts available, even after hours. A PACCAR Parts distributor, we carry new and remanufactured parts for trucks. New Kenworth trucks and quality, used trucks available for sale. Full service for all light-, medium-, or heavy-duty trucks. Showers, dining and more amenities. Complete collision and body repair services on heavy, medium and light duty commercial trucks. At Papé Kenworth Alaska, we promise to keep you moving 24/7. Our knowledgeable sales and support teams will find you the right equipment for your job, and our service teams are stationed throughout the West to ensure that you are never far from Papé’s exceptional technicians and parts inventory. 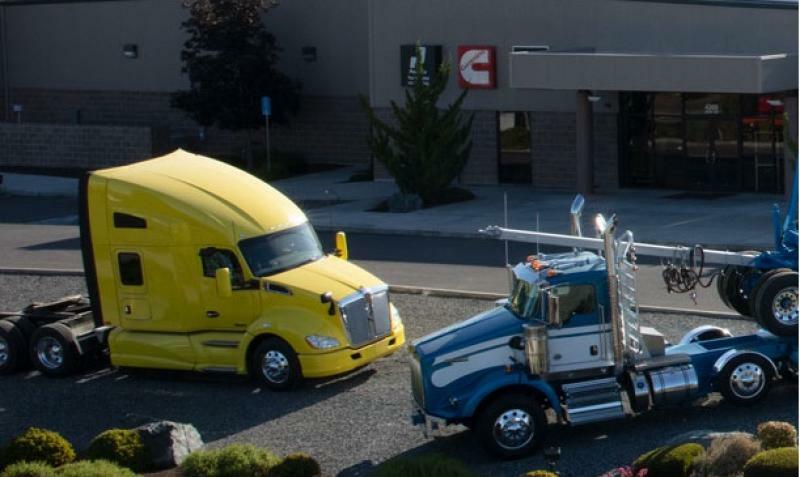 At Papé Kenworth Alaska, we promise to provide you with premium equipment and superior service.